Natural beauty is un-matched. Pakistan have world most beautiful places to visit, specially at its best in northern areas of Pakistan and Kashmir region. This part of the country is famous all around the world because of sky high mountains, lush green valleys, mighty rivers, beautiful lakes, and amazing wildlife. The Pradise on Earth ‘Neelum Valley’ Mini Switzerland ‘Swat Valley’ and Mountain Kingdom ‘Hunza valley’ are the major tourist attractions in Pakistan. All these places are real natural beauty of the world. There are also many best camping sites in Pakistan, where tourist can enjoy hiking and camping. Here, below is a list of top 10 Best Natural Places to Visit in Pakistan. The naturally beautiful places of Pakistan, you will not found such beautiful places all over the world. 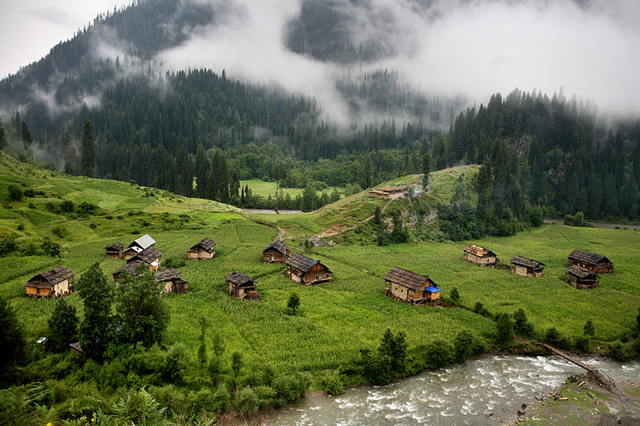 Neelum valley is one of the most attractive places for tourists due to its famous lush greenery, springs, streams, lakes and hilly and sloppy mountains. Some of its famous places like Athmuqam, Kutton Jagran, Karen, Neelum, Ratti Galli, Baboon, Noori top, Sharda, Sharda Fort, Sharda University (The Oldest University of Sub-Continent), Arrang Kel, Surgon, Halmet, Taobut and many more. In addition, Neelum Valley offers you to visit the most beautiful lake “Ratti Gali”. Patlian Lake and Baboon Top are new addition in Neelum Valley’s attractions. You can access Ratti Gali, Patlian and Baboon by 4*4 vehicles. The Hunza Valley is a mountainous valley in the Gilgit–Baltistan region. It was formerly a princely state. The Hunza valley is situated north/west of the Hunza River, at an elevation of around 2,500 metres. 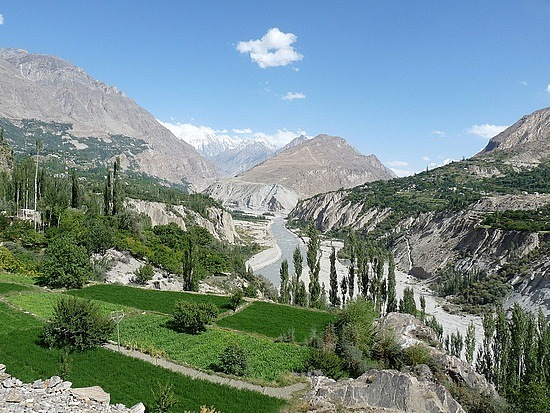 The Valley has three Regions – Upper Hunza (Gojal); Center Hunza and Lower Hunza. Hunza valley is the most beautiful place to visit. Also, it has many stunning site to see. Some of these beautiful places are. Rakaposhi Base Camp; Diran Base Camp; Hoper Glacier; Passue and Gulmit; Khunjrab Pass; Atta Abad lake, Batura Glacier and Nagar valley. Nagar Valley is also one of the best natural places to visit in Pakistan. The valley offers you to enjoy world’s biggest glaciers as well as natural landscapes. The people of Hunza are one of the best throughout the country. 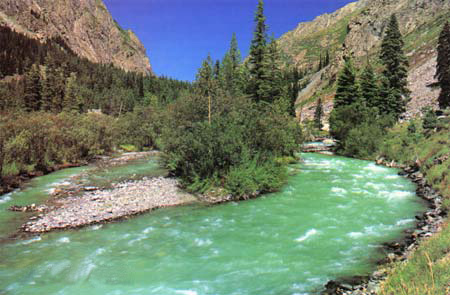 Swat is one of the Pakistan’s most popular tourist destinations. With lush forests, verdant alpine meadows, and snow-capped mountains it offers too much to enjoy. Located at an average elevation of 3,220 ft, Swat considerably has a cooler and wetter climate compared to most of Pakistan. Swat Valley also called “Mini Switzerland of Pakistan”. 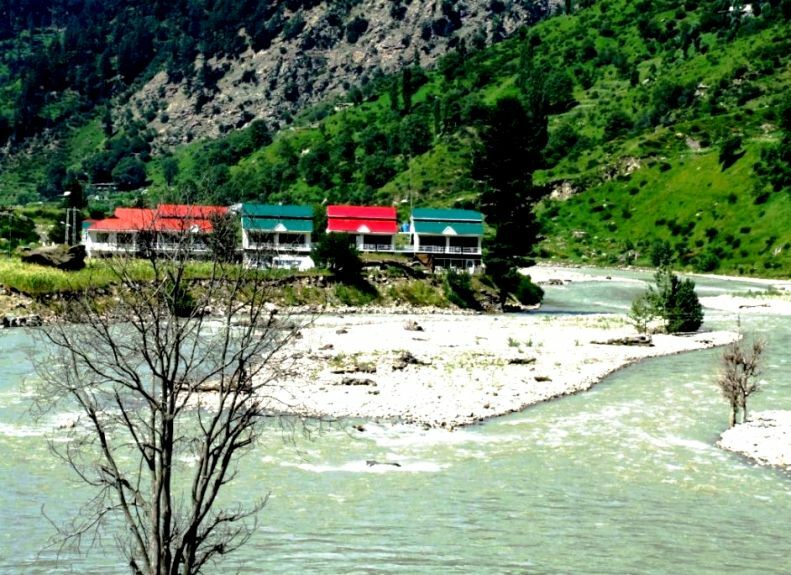 The valley has many attraction for visiting such as Mahodand Valley & Lake, Natural Ushu Valley & Ushu Forest, Malam Jabba (Famous ski resort in Swat Valley), Madyan, Swat & Kalam Vallies, Bonir, Der and many other naturally beautiful sites. See also; 10 Best Places to Enjoy Snowfall in Pakistan. 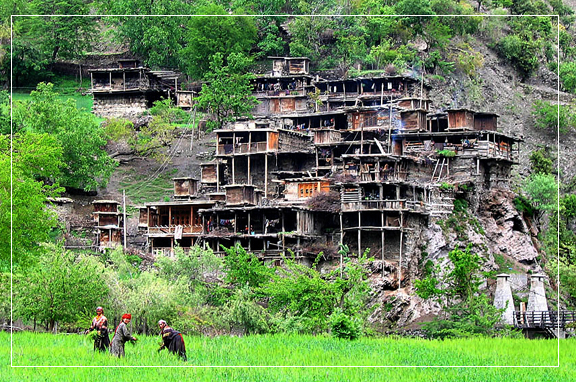 Kalash Valley is one of the major tourist attractions in Pakistan. This is situated in the Chitral district of Pakistan. This valley has a historic background but its history has controversies. Kelash is actually a very old Greek civilization. The people belonging to this civilization are called ‘The Kelash’. Belongs to old tribes and have their own religion and culture. This is one of the beat places to visit in Pakistan. In addition to natural beauty, the valley has a unique and amazing culture. People living here in small villages that they built on the hill sides. These villages are at the banks of the streams and rivers. People construct their homes with rough shaped logs. People of Kalash are cheerful, they celebrates many festivals like Uchal Festival, Phoo Festival and Chomos Festival. Also, there are many attractive sites for visiting. The Kaghan Valley is a beautiful valley in the north-east of Mansehra District. It attracts many tourists from not only Pakistan but also from the whole world. Laying in lower Himalayan mountains range, the Kaghan valley, famous for its bewitching splendor and natural beauty. It is one of the most charming tourist resorts in scenic Hazara division. There are many beautiful and attractive spots like Shogran, Jared, Naran, Lake Saiful Muluk, Lake Dudipat Sar, Lake Lulu Sar, Babusar Pass and much more to do. The Kaghan Valley is at its best during summer. Naran is most famous spot for tourists in the Valley. Thousands of people visit Naran daily. The region is Alpine in geography and climate, with forests and meadows dominating the landscape below peaks that reach over 17,000 feet. Near the town Naran, there’s one of the highest lakes in Pakistan “Saiful Muluk”. It is a mountainous lake in the Saiful Muluk National Park. in the Saiful Muluk National Park. At an elevation of 3,224 m above sea level, the lake is a source of the Kunhar river. Babusar Top is another best places to visit in Pakistan. Located an elevation of 13,691 feet above sea level, it’s also one of the highest spot in Babusar Valley. The Pass connects KPK with Gilgit Baltistan via the Thak Nala with Chilas on the Karakoram Highway (KKH). It can be easily accessed by cars. This is a summer hill station. 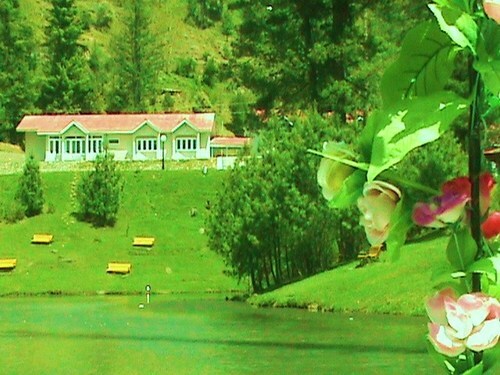 The summer resort and is situated in Murree, the subdivision of Rawalpindi District. Murree was the summer capital of the British Raj in the Punjab Province. People from all over the Pakistan wish to go there in summer to enjoy its natural beauty. Also, in winter season for astonishing experience of snowfall. Bhurban and New Murree (Patriata) are a main tourist center. One of the most favorite tourist point of Murree is Galliat. It has fascinating greenery and scenic beauty that attracts tourist belonging different regions of Asia. 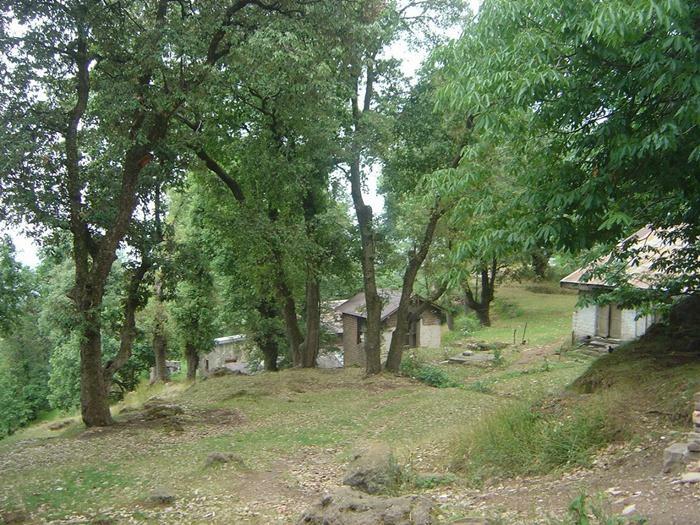 Most popular picnic points of Murree Hills are Dunga Gali , Muskpuri Hill , Nathia Gali, Bara Gali and Mall Road. Shandur is the Highest Polo Ground on Earth. Located about 3738 meter above sea level between Chitral District and Ghizer District of Gilgit-Baltistan. It is often called the ‘Roof of the World’. The top is flat, a plateau and can be crossed between late April and early November. In addition to it’s natural attractions, each summer a hug event called the Shandur Polo Festival is organized here. There is a polo match being played between the teams of Chitral District and districts of Gilgit-Baltistan. That is also a big source of attraction for the tourists. Different people come against each other in this freestyle contest. The Shandur Pass is one of the major mountain passes of Pakistan. Also, one of the best places to visit in Pakistan. It is generally unpopulated and passing through its snow covered slopes in winters is an exceptionally difficult adventure. 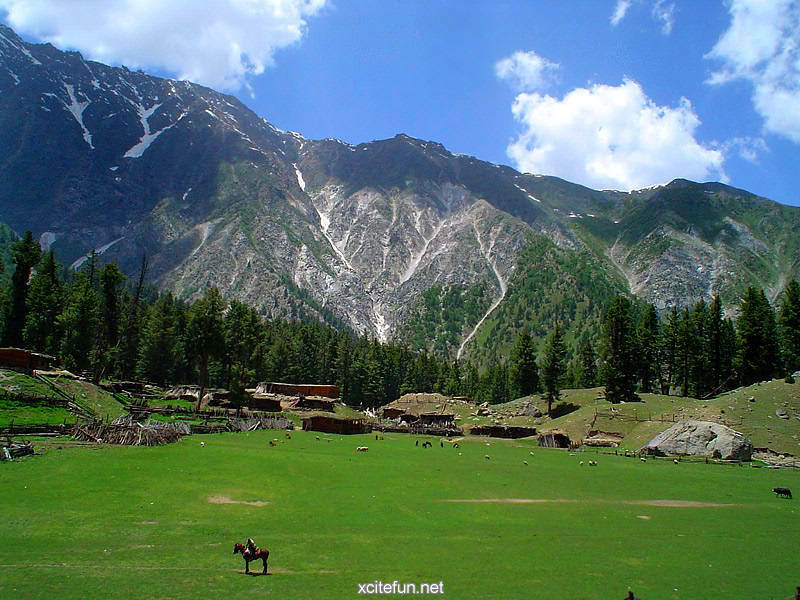 The polo ground is about 168 Km from the main town Chitral and accessible by jeep. The road is closed during winter due to heavy snow. Rawalakot is a town in Azad Kashmir, and is the district headquarter of Poonch Division. It is in a beautiful valley surrounded by hills, which is located 80 km away from Rawalpindi and Islamabad. Rawalakot is a summer visiting point. The winters in Rawalakot are cold and chilly. There are many attraction for visitors like Banjosa; Toli Pir; Poonch River; Tatta Pani; Banjosoa Lake; Sudhngalli and many more. Ziarat is the capital of Ziarat District, Balochistan, Pakistan. Also, Ziarat is a famous holiday resort of Balochistan and nearly every trip from Karachi to Quetta stops at Ziarat. It was the summer residence of the chief commissioner of Baluchistan, and sanatorium for the European troops at Quetta. There is a good water supply, and the hills around are well-wooded and picturesque. A visit to Quetta is incomplete without a trip to Ziarat. Ziarat is a hill station in the Sibi district of the province of Baluchistan. It remains quite cool during summer and receives enough snowfall during the winter. This is an ideal valley of Azad Kshmir region for both the domestic and international tourists. The curling river Jhelum passes through from East to West between the high green mountains of this valley. This valley has a most beautiful valley “Leepa Valley”. This is the most fascinating & loveliest valley in Azad Kashmir. Its lush green rice fields in summer and typical wooden Kashmiri houses present a wonderful view to the people visiting the area. Walnut, Apple, Cherry and honey of Leepa are very popular and in great demand. There are many visiting sites like Peerchanasi, Chikar, Chinary, Leepa, Chakothi, Ghari Dopatta, Chokothi Cham-fall and Zilzaal Lake.